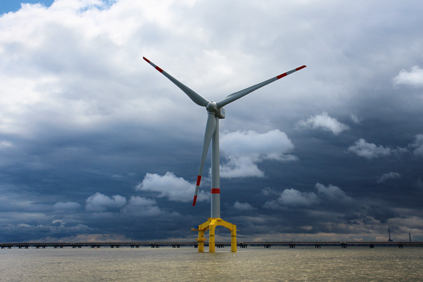 NETHERLANDS: Meewind, a Dutch investment firm, has said it is investing €150 million in the upcoming 600MW BARD-Nederland offshore project. Meewind’s decision follows the signing of a letter of intent last month by offshore specialist Van Oord and the green investment company Typhoon Offshore for the construction of the project. Willem Smelik, director of Meewind said the company was establishing a sub-fund to allow provincial authorities to invest in the form of a fixed-rate loan. He said: "The Netherlands counts 12 provincial authorities that are expected to want to invest between €10 million and €20 million each. Most of these provincial authorities still hold the sale proceeds of the old ‘grey’ utilities." Michael van der Heijden, managing director of Typhoon Offshore and responsible for financing the wind farm, said: "The agreement with Meewind represents a significant contribution to the realization of the wind farm. Meewind is the second Dutch investor in the project."